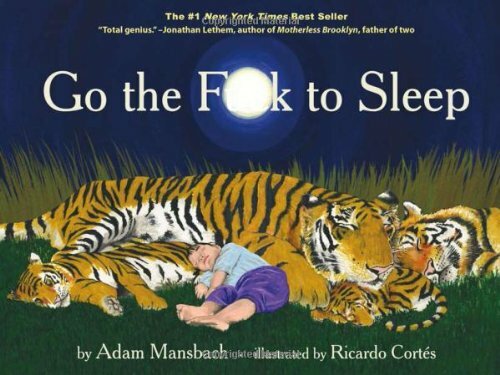 This book is too funny to describe adequately, if you haven’t read it yet, go check out Go the F**k to Sleep and pat yourself on the back for only reading it five times in a row. Better yet, the guy from Reading Rainbow can read the book to you, as many times as you’d like to listen. It’s quite the treat. Go check out the YouTube link below.